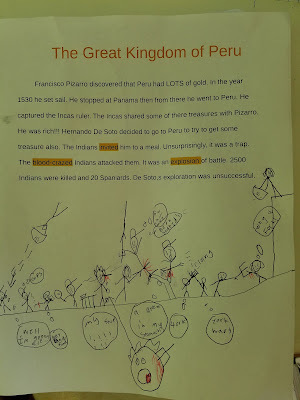 Francisco Pizarro discovered that Peru had LOTS of gold. In the year 1530 he set sail. He stopped at Panama then from there he went to Peru. He captured the Incas ruler. The Incas shared some of there treasures with Pizarro. He was rich!!! 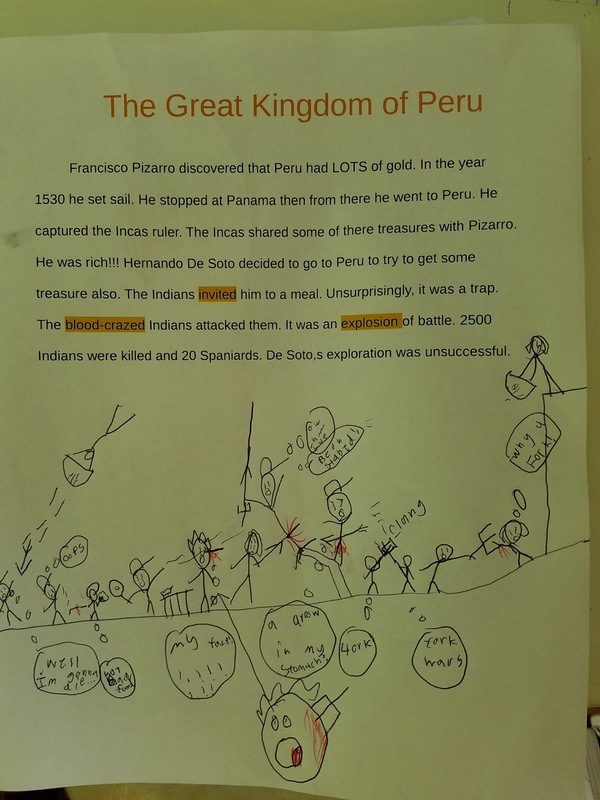 Hernando De Soto decided to go to Peru to try to get some treasure also. The Indians invited him to a meal. Unsurprisingly, it was a trap. The blood-crazed Indians attacked them. 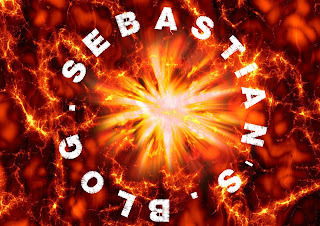 It was an explosion of battle. 2500 Indians were killed and 20 Spaniards. De Soto's exploration was unsuccessful.